From our state-of-the-art, 6,000 square metre, food processing facility in Widnes, CFI is leading the way for new product innovation. CFI can supply AMF, butter oil and ghee in a wide range of formats and quantities. These include retail-ready cans, boxes and even bulk tankers. No matter what your application, we can provide products to fit all specifications. Some examples of popular uses for our dairy based yellow fats include confectionery, bakery/patisserie goods and ethnic cuisine products. These new products complement our current UK churned butter range and we’re working hard to further enhance the portfolio. 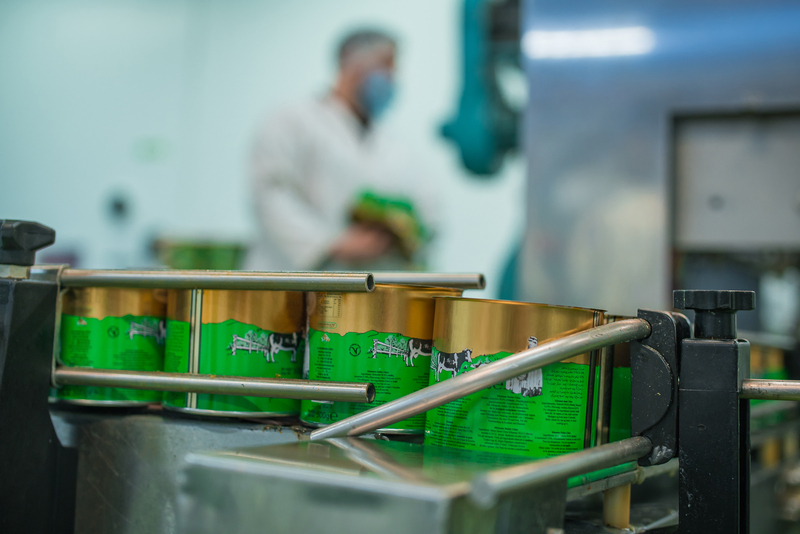 CFI is committed to developing a constantly evolving range of sauces, garlics and condiments for the food processing and food services sectors. The sauces we produce include the likes of barbecue, sweet chilli, tikka and mint, along with a host of specialised ‘cook-in’ sauces too. Our range of garlics is ever expanding and includes chopped garlic and garlic puree, as well as exciting additions such as garlic with ginger, amongst others. Your favourite condiments including ketchup, mayonnaise and several pickles can all be supplied; in fact, our talented team of food development professionals would love to discuss new flavour ideas with you. Developing new products to meet flavour and function is a key activity, here at County Food Ingredients. If you have new ideas, flavour requirements or potentially complex applications, our food development team wants to speak to you. County Chef is CFI’s own label. Through County Chef branding we can supply all of our products into wholesale, retail, food processing and food service sectors. CFI can also provide white label solutions, across the range, for our customer’s own brands. Whether you need dairy based yellow fats such as AMF, butter oil and ghee, or ready-to-use food ingredients such as sauces, garlics and condiments, contact our team today. CFI can supply the whole range across a multitude of sizes and formats, different quantities and also processed to standardised or bespoke formulations. If you’d like to learn more about County Milk Products, County Food Ingredients or County Chef, we’d love to hear from you.